This is going out on a Monday, and Lin and I are trying to catch up on laundry (well, Lin is); and I'm trying to catch up on work-related stuff. 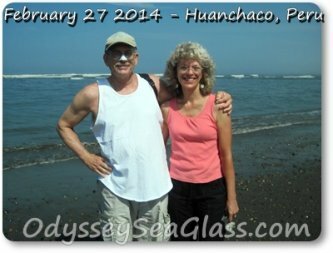 Lin and I have been very busy here in Peru with volunteer work giving free Bible lessons to individuals and families in their homes. It is extremely rewarding but also takes a lot out of us. For one thing, it's all in Spanish, which takes an extra mental effort no matter how long you've been doing it. Also, conditions are pretty basic in lots of the homes. 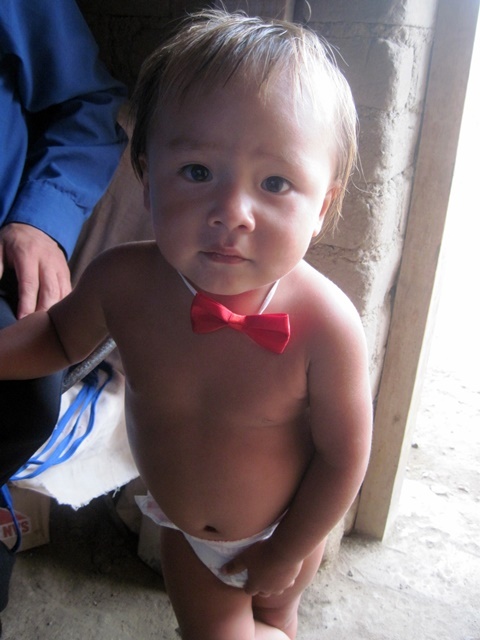 A young couple that we visit (he's 21, she's 20) have a little boy and live in a dirt-floored shack with less than an outhouse in the enclosed dirt back yard. Chickens run around and do their thing all over the place if you know what I mean. Joselito works on a bus collecting the fares 15 hours a day, 6 days a week, and makes hardly any money. This couple, Joselito and Damaris, wanted to legalize their marriage and they finally were able to do that yesterday in a mass civil ceremony at the library 2 blocks from where we live. In total, there were 18 couples who got married in one-at-a-time brief ceremonies, ie., "Do you take ____ to be your lawfully-wedded... You are now legally married." Actually, it was pretty interesting and not as bad as you would think. After the civil ceremony, we went to a friend, Juana's, house to eat. 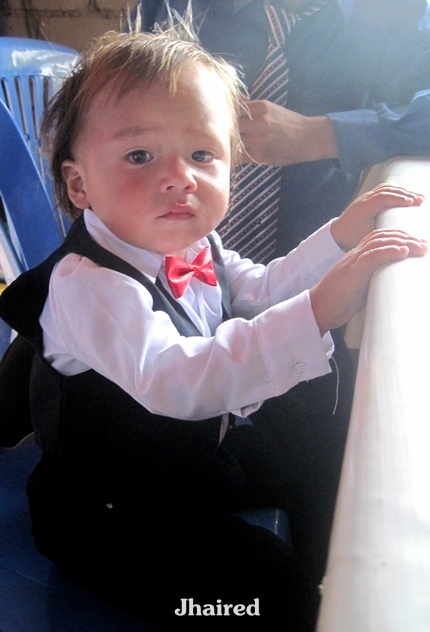 Jhaired, Joselito and Damaris' little boy, was dressed and ready. It didn't take him long to go back to the normal diaper stage, though. It is hot here right now. 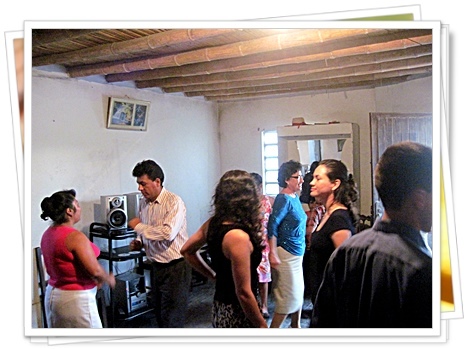 After eating, we went to another friends' house for what no party in Latin America is without - dancing! In case you wondered, Lin and I danced, too. We're in the photo behind this one LOL. If you're into dancing, it was mostly salsa and cumbia. 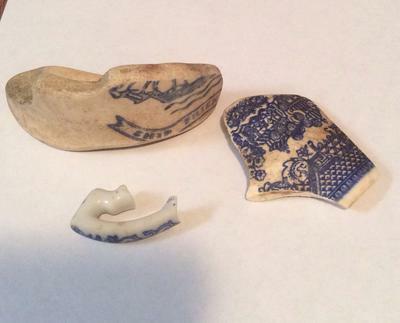 For a young family trying to get on their feet, life is hard. 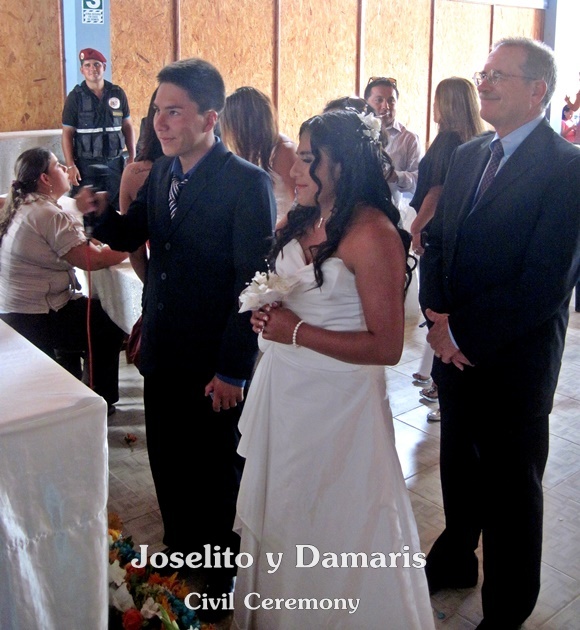 Joselito and Damaris are trying to do it the right way and we love them for it. It's a good thing kids grow up (hopefully, they will) and are eventually able to take care of their own needs. But for an unfortunately-large number of folks whose child-rearing days should be just a pleasant memory, it's not over yet. 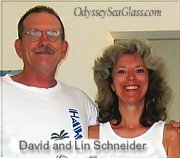 Many are now having to raise their grandchildren as if they were their own. Our hearts go out to you grandmas and grandpas who are having to raise your grandchildren. Hang in there. 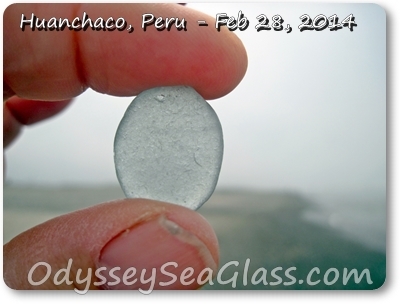 On another note, we haven't been to the beach to do any glassin' since about the end of February, but here are some photos of our last very nice trip. 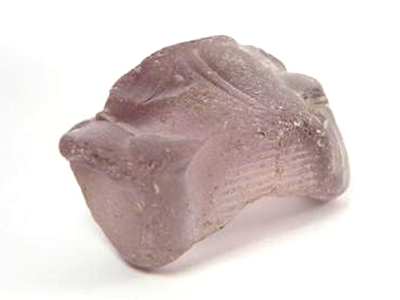 We posted more to Facebook over the last week. 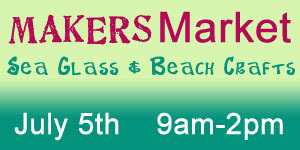 Did you know that we post photos frequently to Facebook and Pinterest that are never seen on our site or newsletter??? 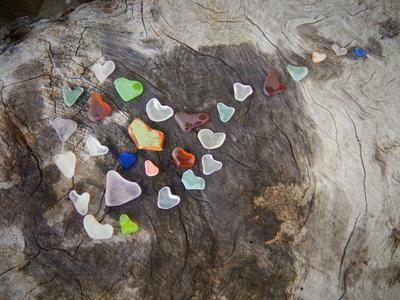 The winning photo is "Mermaid Hearts" by Annie La Rocco from Fort Bragg, California, USA. 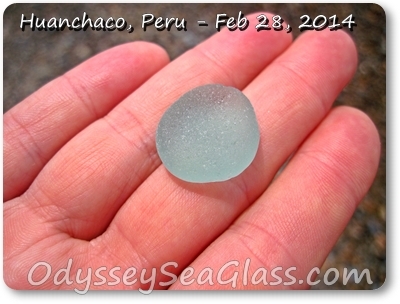 ~ by David and Lin at OdysseySeaGlass.com, Huanchaco, Peru Today, low tide, warm weather (it's summer here) and lots of pebble drifts showing - YES! 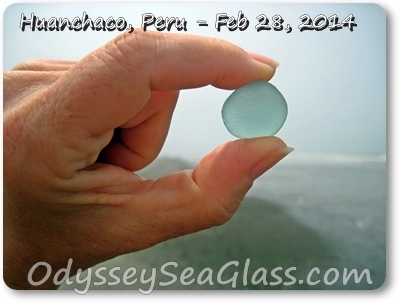 Continue reading "02/26/2014 Huanchaco Beach, Peru w Red Sea Glass"
Red Sea Glass is a Rare Beach Find - Why is it hard to find? 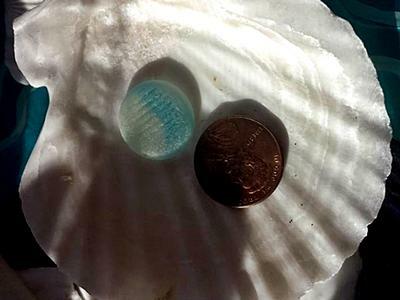 How can I find it? 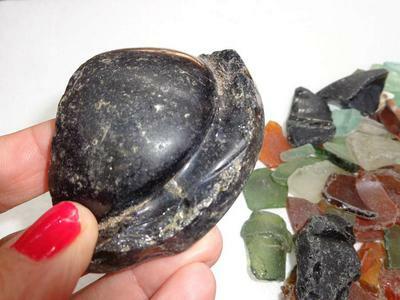 Here, we will focus on finding rare beach glass - why certain beaches have the rare colors and why others don't. 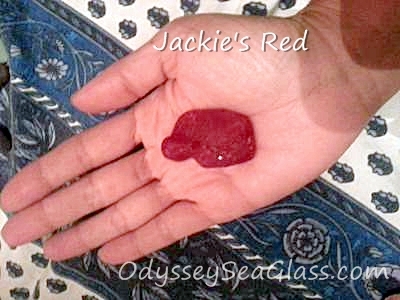 Continue reading "Red Sea Glass is a Rare Beach Find"
Continue reading "Feb 22, 2014 @ Fort Bragg, CA - Red Sea Glass"
Continue reading "Collecting Sea Glass"
Sea Glass United States - What Beaches Have Sea Glass? 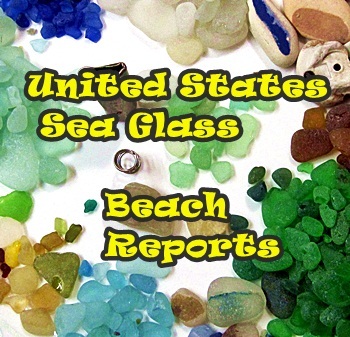 Here are many sea glass beaches on the Great Lakes and Gulf Coast. 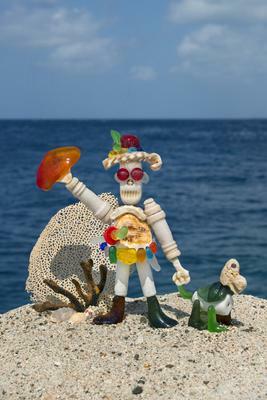 Find your beach, look for a new one! 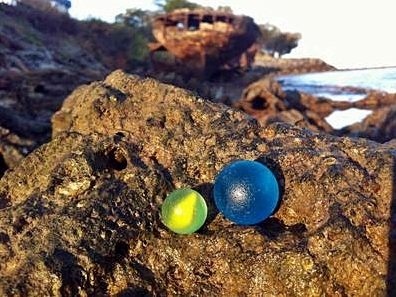 Continue reading "Sea Glass United States"
Continue reading "Sea Glass News"
Continue reading "Sea Glass & Beach Crafts Market"
Continue reading "Blue & Yellow Makes Green - February 2014 Sea Glass Photo Contest"
Continue reading "What is this pretty sea glass from Okinawa?" ~ submitted by Adie, Port Townsend, WA USA Where was this photo taken? 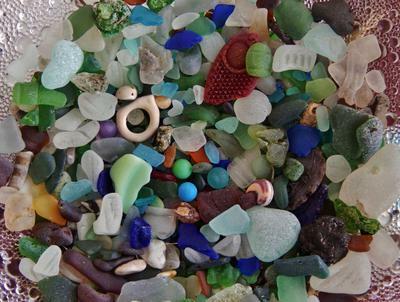 .This photo was taken in North Beach in Port Townsend, Washington. USA. 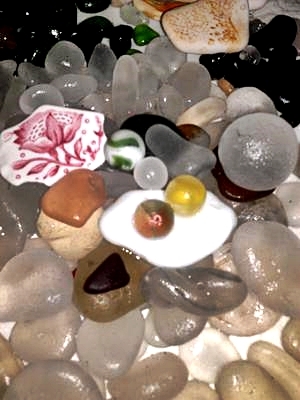 Continue reading "Marble Mania - February 2014 Sea Glass Photo Contest"
~ submitted by Marylyn in Pakenham, Victoria, Australia If only I had remembered to take a photo when I was collecting on the beach at Akarowa! Continue reading "She's A Beauty Mate! 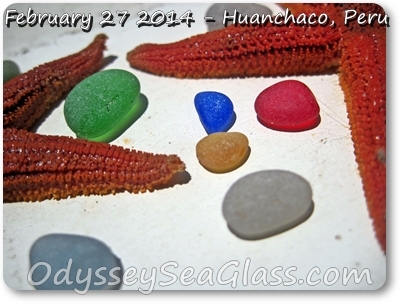 - February 2014 Sea Glass Photo Contest"
Continue reading "Sea Glass Man "
Continue reading "Varoom - January 2014 Sea Glass Photo Contest"
Continue reading "Greenbrier River Pottery - January 2014 Sea Glass Photo Contest "
Continue reading "Fond Memories - January 2014 Sea Glass Photo Contest"
Orange sea glass - it is rare? 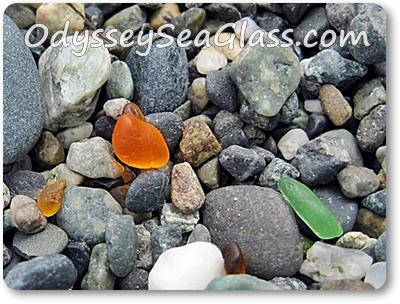 Check here for information on orange and other sea glass colors. 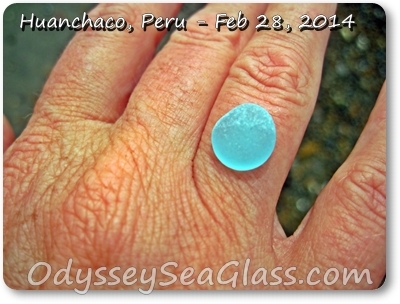 Continue reading "Orange Sea Glass"